Here's the clues I've found about Soren, "Builder of Worlds", in the scene where you are in The Founder's throne room, you look at a book by Soren "Habits of The Enderman". And the scene where you are in The White Pumpkin's lair, if you examine the bookcase TWICE, you'll find ANOTHER book by Soren "Walking among Enderman". Isn't it strange to show this scene again? 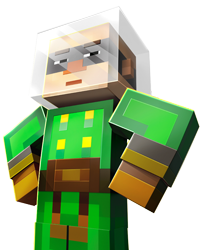 And the dlc skins in Minecraft show Soren wearing an old fashioned-like suit though we NEVER seen him wear it in Story Mode. My guess is "A Journey's End?" involves Soren, the Command block and The End dimension where the Ender Dragon crossed over to Overworld showing us what happens if the creature took over! Omg. The command block is actually capable of ALTERING reality itself, which in episode 4 he said they defeated the Ender Dragon but they didn't kill it, Soren blinked the dragon out of this world...TO ANOTHER END! 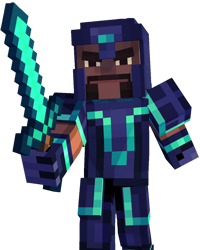 So Jesse and her team become REAL HEROES by facing the Ender Dragon with the CB sword for a final battle. Damn that hidden clue in Episode 6, I didn't expect that one. At first I thought Soren was the White Pumpkin. He is known as the Architect, so I thought it was him who built the mansion. Maybe Soren joined The Old Builders before joined The Order? Damn that hidden clue in Episode 6, I didn't expect that one. At first I thought Soren was the White Pumpkin. He is known as the Architect, so I thought it was him who built the mansion. Yes, he was "The Architect" and leader of the Order of the Stone, but he was once a leader of The Old Builders but something made them separate. But its strange how Soren lived so long until he formed the Order. Could the builders be IMMORTAL? Immortal? Likely not. Immortality would mean that he can't die. It doesn't mean he stays that age forever. In immortality you are alive forever, not youthful forever. More likely is that the old builders can die, but they age slower due to some sort of special item. Also the "Old Builders" just existed before the Order Of The Stone. It wasn't that long ago that the Order were adventures as the characters from the Order don't look like they aged that much. So Soren could just be from the Old Builders, but not that Old. 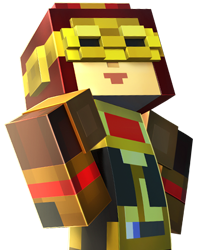 And if logical says that Isa and Cassie could be Old Builders as well, it's likely that either they just aren't old, or age slower. Immortal? Likely not. Immortality would mean that he can't die. It doesn't mean he stays that age forever. In immortality you are … morealive forever, not youthful forever. More likely is that the old builders can die, but they age slower due to some sort of special item. I was wondering the same thing when the skin packs came out!!! We never saw Soren in that suit!!! And also, where was the book!? (More evidence! ) But... I looked at the books in the white pumkins lair (with all the cats) but I didn't see a book by Soren. Where might it be? I hope telltale reveals how Soren is related to all this. I hate it if they never told. Sometimes they do that. It seems like there is no such thing as aging in MCSM. There are no kids, and no one ever really gets older. And though some people look older, their looks never change after many years it seems. Also the "Old Builders" just existed before the Order Of The Stone. It wasn't that long ago that the Order were adventures as the … morecharacters from the Order don't look like they aged that much. So Soren could just be from the Old Builders, but not that Old. And if logical says that Isa and Cassie could be Old Builders as well, it's likely that either they just aren't old, or age slower. Yes, i'm surprised because Soren is the only character along with Gabriel, who haven't removed their armor. I was wondering the same thing when the skin packs came out!!! We never saw Soren in that suit!!! And also, where was the book!? … more(More evidence! ) But... I looked at the books in the white pumkins lair (with all the cats) but I didn't see a book by Soren. Where might it be? I hope telltale reveals how Soren is related to all this. I hate it if they never told. Sometimes they do that. You had to look at the bookshelf twice. Yeah I did it too, did you see how Jesse REACTED to seeing another book by Soren? Is that a question I'm supposed to answer? Nah, unless you want to. She's a member of The Order, not the Old Builders, we're possibly getting a character called "The Scientist." Who's a master at redstone technology, probably better than Ellegard. Maybe they're just funny references? Like Dan's hair in Ep 6. Maybe XD But why are there no kids? That's the question! 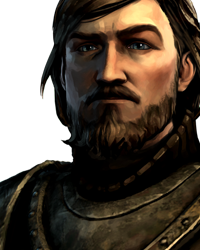 I'm also confused as why they would have Soren's skin without armor, when we never see him like that, and they DON'T have Ivor's armor skin, when we DID see him like that. I would LOVE Ivor armored skin! Soren is an architect, so maybe he's an Old Builder. Also those books may be evidence that Soren is an old builder. You know, the fact that we haven't seen Soren at all after he flees from the Wither Storm in Ep. 4 is also suspicious. He wasn't in the crowd of people back in town either when you had the choice to reveal the Order for what it really was. 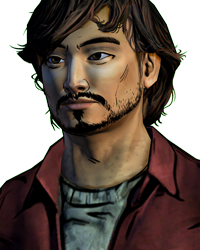 He hasn't shown up at all since then, at least not in these last two episodes (whose to say what may happen in Ep. 7?). Maybe he fled and really did become a villain in "A Journey's End?" He definitely seems crazy enough to do it. END. A Journey's END. As in THE END. The dimension. 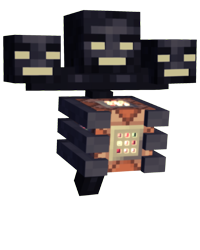 And you know what The Order did to vanquish the Ender Dragon? They teleported it to another dimension....it all makes sense..
You know, the fact that we haven't seen Soren at all after he flees from the Wither Storm in Ep. 4 is also suspicious. He wasn't i… moren the crowd of people back in town either when you had the choice to reveal the Order for what it really was. He hasn't shown up at all since then, at least not in these last two episodes (whose to say what may happen in Ep. 7?). Maybe he fled and really did become a villain in "A Journey's End?" He definitely seems crazy enough to do it. Yes...I think your actually right! 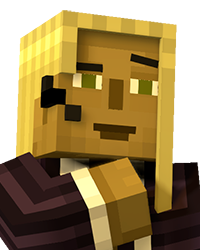 The command block is actually capable of ALTERING reality itself, so in episode 4, Soren said they DEFEATED the Ender Dragon, but they didn't actually KILL it, Soren blinked the dragon out of this world...TO ANOTHER END!...Thus having Jesse and her team become REAL HEROES by facing the Ender Dragon once and for all. They could add all the characters Jesse met in episode 5 to episode 7 help Jesse destroy the creature. This could be good for a prediction. Total mindblowing. Yes, that is a name I totally forgot, I remember Ellegaard saying, "Impossible objects were Soren's specialty." 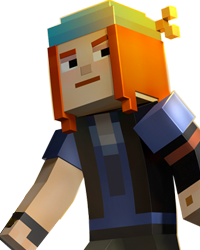 Could HE be the one who made the enchanted Flint and Steal with the other Old Builders? There are more than just one to go from one world to the next. Must be not true, but it might. 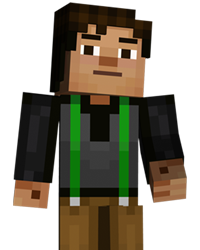 I played every episode and if the enderdragon DOES come.back, maybe, they have to find a way to get it out of the universe forever. I think that's more of a title than anything. And he did literally build a world. His wool world. And, is it funny that he's the only member of the Order who I forgot the name when the game first came out, but now you can barely go 3 pages in the forum without running into him and the Old Builders? I remember Ellegaard saying, "Impossible objects were Soren's specialty." 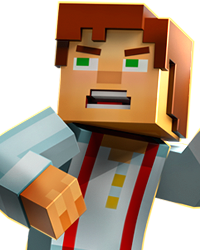 Could HE be the one who made the enchanted Flint and Steal with the other Old Builders? Ivor : Let's kill it with a sword! Where do you get these names, like "the scientist"? Its what I thought up, it could be the next nickname for the character, I don't know. We could call them the "Old Frauds". Exactly, the command block alters reality, so Soren merely transported the beast to another Overworld dimension, but instead of it being in The End, what if its a reality where this Overworld is destroyed by the Ender Dragon and the sun never comes up letting mobs wander around freely? Kind of like an apocalypse. So....The Walking Dead but with a dragon? Exactly, the command block alters reality, so Soren merely transported the beast to another Overworld dimension, but instead of it… more being in The End, what if its a reality where this Overworld is destroyed by the Ender Dragon and the sun never comes up letting mobs wander around freely? Kind of like an apocalypse. Yeah like the world would look like the End, the sky will be purple, with no sun. Well, I could be wrong but the title must be referencing The End, kinda like how "Order Up" takes place up in the sky.